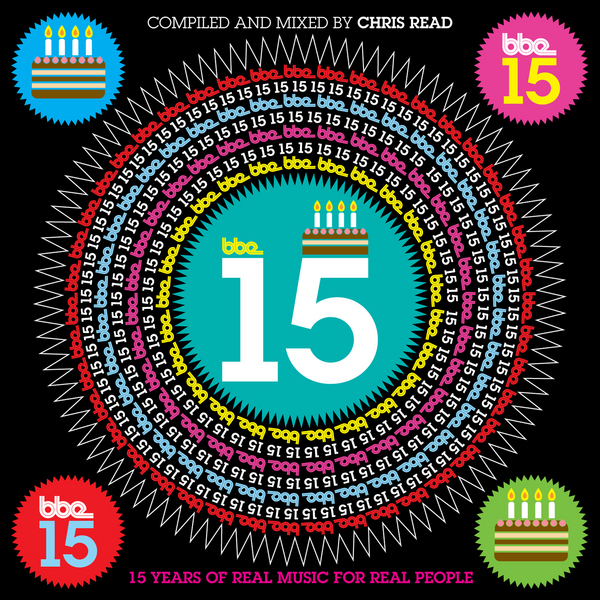 Back in 2011 it was my pleasure to compile and mix this mix album celebrating the 15th Anniversary of one of my favourite labels – BBE Records. The result was a double CD mix album containing what I consider to be the label’s finest moments. Of the many mixes I’ve produced I would say these are probably two of my favourites. At the time that I put these together, I uploaded extracts of each here on Mixcloud. 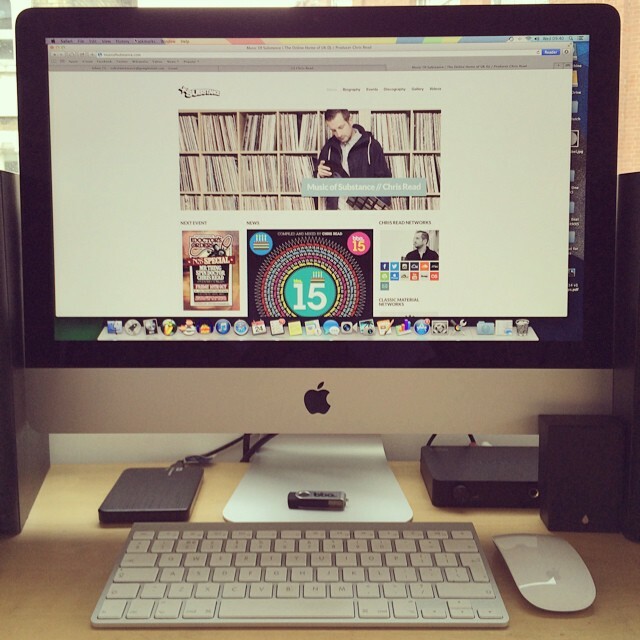 Three years on I thought it was probably about time I made the full length mixes available. Last month I posted CD1 – I’ve now posted CD2. This week’s 22Tracks London Funk & Soul playlist is live. 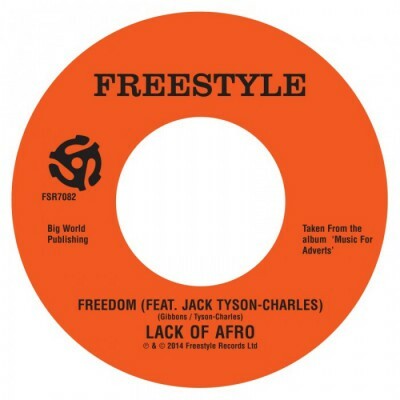 New music added from Lack of Afro, Gene Dudley Group, Lee Fields & The Expressions, Marco Polo, Naomi Shelton & The Gospel Queens, Third Coast Kings and Anne Frankenstein. This Saturday (13th September) marks the 20th Anniversary of the release of one of hip hop’s all time classic albums, The Notorious BIG‘s seminal Bad Boy Records debut LP ‘Ready to Die’. In celebration of the album’s 20th birthday, we’ve teamed up with Wax Poetics to present an exclusive mixtape containing tracks from the album, alternate versions, interview snippets and, of course, original sample material used in the album’s production. Listen on Mixcloud here or via the widget below. This week’s 22Tracks London Funk & Soul playlist is live. 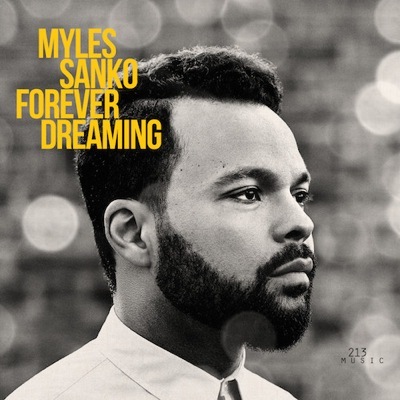 New music added from Myles Sanko, Hugh Geldhill, Lack of Afro, Weekend Sun and many more. This Saturday marks the 20th Anniversary of the release of Notorious BIG’s seminal debut LP ‘Ready to Die’. 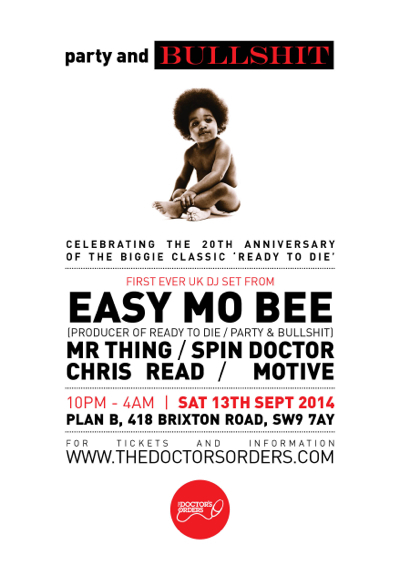 Doctor’s Orders are marking the occasion with a party at Brixton’s Plan B with a fine line up of DJs.